The finest dumpster rentals in Volusia & Flagler counties. Note:Dumpster is for construction, demolition and household debris. No concrete, dirt, block, pavers, aggregate, roofing or large tree’s. 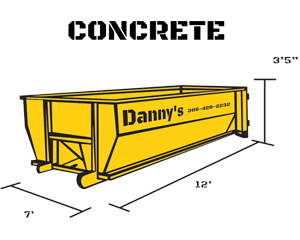 When looking for a dumpster rental company, keep several important factors in mind. Does the hauler have commercial vehicle insurance? Does the hauler or company have Workman’s Comp coverage? Does the hauler have commercial liability insurance? Is the hauler DOT compliant? Is the haulers trucks DOT inspected? Does the haulers drivers have the proper drivers license endorsement? Does the hauler conduct thorough back ground checks and drug screen on its employees? 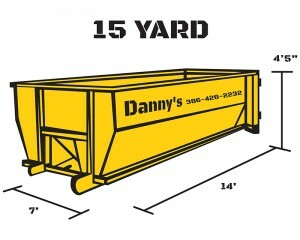 If you want an established container rental company in Volusia or Flagler that you can trust, call Danny’s Dumpsters at ‪386-428-2232‬. Let our dedicated team drop off a dumpster container and promptly pick it up when its full. Let us haul away your construction waste, renovation junk or trash/garbage from a large event. 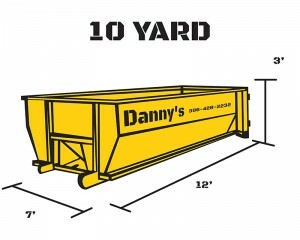 Danny’s Dumpster Rentals is a family owned and operated business. Our goal is to treat each and every customer like family. We strive for excellence through our service and put the customers first each and every time out. In the building industry, there is nothing worse than getting bad service. When deadlines and projects are on the line, time and money are crucial. I will personally do what’s needed to get you the most aggressive pricing possible to make your project a smooth and easy success. At Danny’s Dumpster Rentals, our word is our bond.